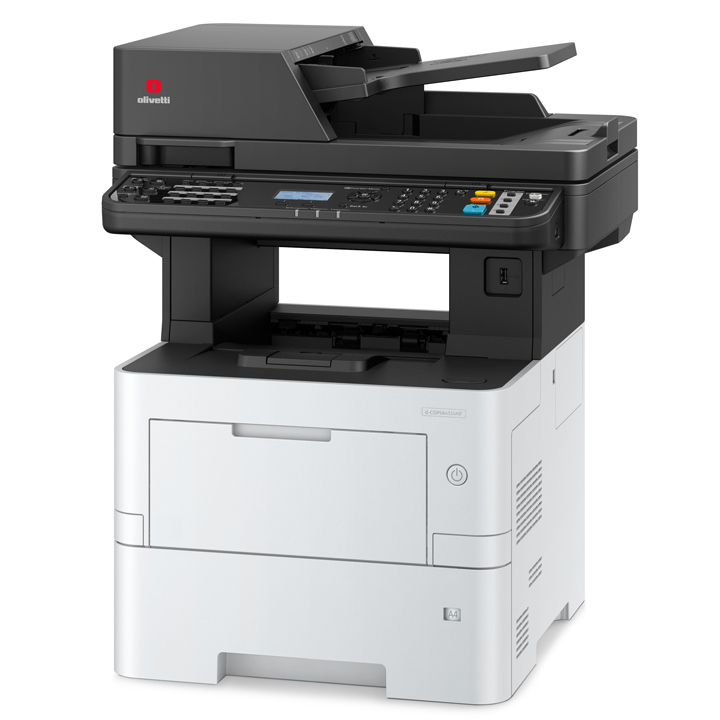 The Olivetti d-Copia 4513MF and d-Copia 4514MF, monochrome A4 multifunctional systems, which deliver print speeds of 45 ppm, are the ideal solution for dynamic medium to large work groups. These models help to reduce the impact on the environment through long-life components combined with low energy consumption levels which, in turn, contribute towards reducing management costs. For added productivity and security, these models support both handy mobile connectivity and an optional Data Security Kit which is designed to satisfy even the most demanding requirements.